Since its first edition, the cover of the Perry Magazine has always showcased a beautiful work of art. Works by artists such as the 1920s Italian painter Edigio Tonti to the contemporary Paul Carbonaro and the Russian sculptor Boris Edwards have graced the cover. The 58th edition of the Perry Magazine, which was distributed with the March 31 edition of The Sunday Times of Malta, proposes a Gozo landscape by the famous cartoonist Henry Mayo Bateman, who spent his twilight years at the Royal Lady Hotel in Għajnsielem, overlooking the quaint harbour of Mġarr and inspiring views. 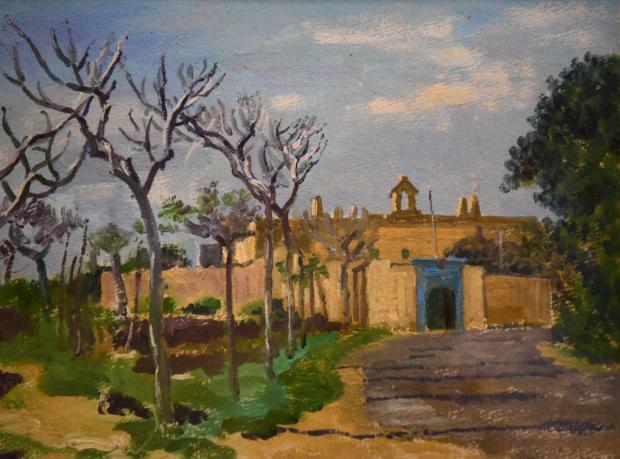 In her critique of the painting – and the artist – Nicoline Sagona writes how Bateman holds a special place in the Gozo art scene of the 1960s. From 1966 until his demise in 1970, just a few days short of his 83rd birthday, Bateman resided at the Royal Lady Hotel in Għajnsielem, overlooking the quaint harbour of Mġarr and boasting splendid views of the Gozo-Malta channel.